Quite a few noticeable buffs have been given to unique tile improvements, like Spain’s Mission, and pilling has also been toned down and made to only give gold and faith unless you happen to be playing as the raid-happy Norwegians. Tweaks have also been made to certain unique units and now CO2 emissions from your army are overall lower. Looking over the long list of changes, most of these seem to make the game more competitive and interesting no matter which civ you’re playing as. This patch also brings more changes to the AI. Firaxis claims that the AI will be better about offering trade deals and taking the hint when you don’t want to trade, which goes a long way to reduce the tedium in my book. Additionally, it’ll be a bit cleverer when it comes to capturing cities during emergencies and transporting troops across water. It should also be better at aiming for victory, though that’s the sort of thing that you can only tell for sure after a few dozen hours and several games. I’m happy to see that the porter, Aspyr Media, has gotten this latest patch ready for a same-day release. I hope that now that they’ve gotten things like crossplatform multiplayer compatibility and same-day support out of the way, they’ll continue to improve their port. While it’s a turn-based title and playable even at lower frame rates, the Linux port of Civ 6 still suffers from subpar performance. This latest patch mentions a few performance tweaks but I loaded up an older save game and ran the in-game benchmarks and found that things remain more or less the same. 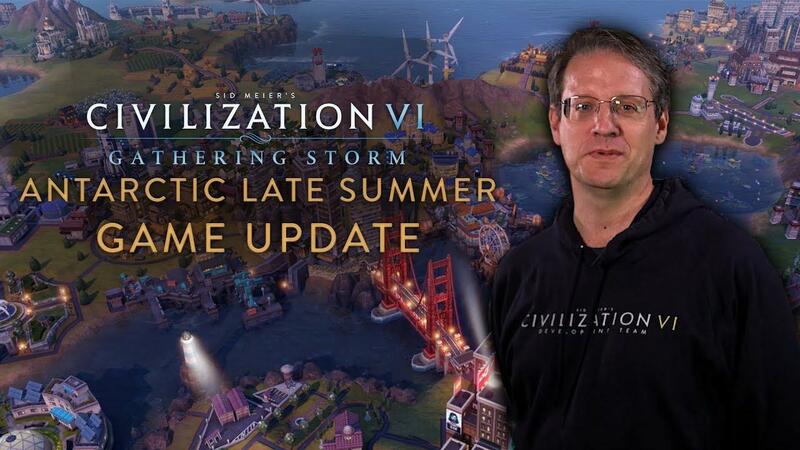 If you want to know more about Gathering Storm, make sure to read Liam’s thoughts on the expansion. Grab Civilization VI: Gathering Storm on the Humble Store or Steam. AMD cards are also working? Loosely related - who's on Aspyr cookie detail for Borderlands 3? lqe5433 AMD cards are also working? Yeah, I've played several hundred hours on my RX 480. They're not officially supported by Aspyr for whatever reason but they work. rustybroomhandle Loosely related - who's on Aspyr cookie detail for Borderlands 3? Not to derail the comments but various other sites have speculated that it may be an Epic Games Store exclusive from a (now deleted) tweet from the official Borderlands twitter account. I wouldn't hold my breath for a Linux version but I'm sure that Liam and others will ask Aspyr, 2K and other relevant parties once we get a solid release date for that. On a different note, 2K recently added cross platform cloud saves, including for the Nintendo Switch version.